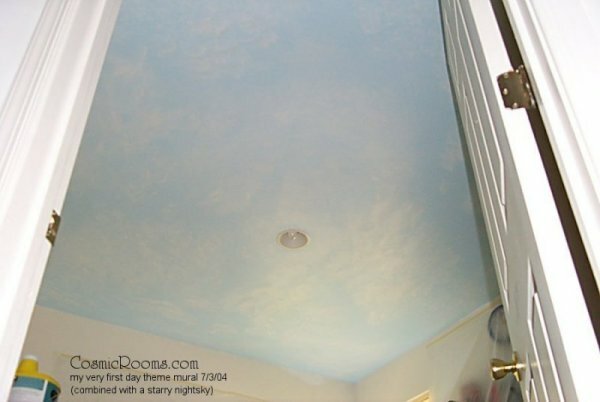 Clouds and Stars mural painted in Tray Ceiling! Remember when you were a kid laying onthe grass looking up at the whimsical clouds? 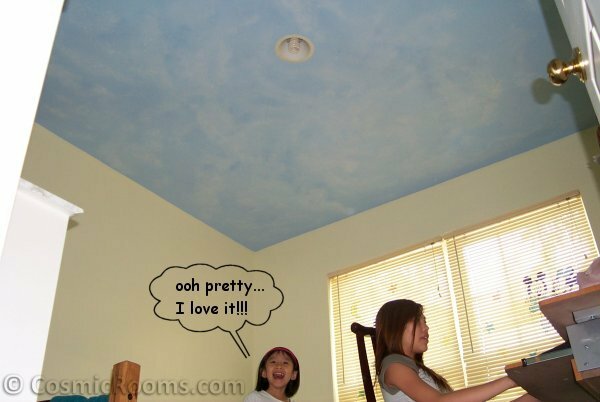 Now you can re-create that for yourself or indulge your children with a combo mural of hand-painted clouds and stars! I've never met a kid who didn't want this in their bedroom! "We are LOVING the starscape and I have already sung your praises to several people today! The ceiling murals continue to be a highlight of our bedtime routine and conversation. We LOVE them." Allison S.